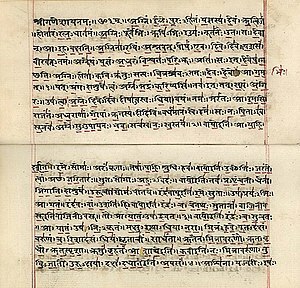 Sontakke, N. S. Rgveda-Samhitā: Śrimat-Sāyanāchārya virachita-bhāṣya-sametā. Sāyanachārya (commentary) First. Vaidika Samśodhana Maṇḍala. 1933. . The Editorial Board for the First Edition included N. S. Sontakke (Managing Editor), V. K. Rājvade, M. M. Vāsudevaśāstri, and T. S. Varadarājaśarmā. Rgveda-Samhitā Srimat-sāyanāchārya virachita-bhāṣya-sametā, ed. by Sontakke et al., published by Vaidika Samśodhana Mandala,Pune-9,1972, in 5 volumes (It is original commentary of Sāyana in Sanskrit based on over 60 manuscripts). Oldenberg, Hermann. Hymnen des Rigveda. 1. Teil: Metrische und textgeschichtliche Prolegomena. Berlin 1888. (please add), Wiesbaden 1982. 1894. Bryant, Edwin. The Quest for the Origins of Vedic Culture: The Indo-Aryan Migration Debate. Oxford: Oxford University Press. 2001. ISBN 0-19-513777-9. For links to other translations, see Translations section above. Nomination of Rigveda[永久失效連結] (.doc format) submitted by India in 2006–2007 for inclusion in the Memory of the World Register.